Posted on Feb 13, 2012 by Appleton Downtown Inc.
A perfectly fudgy salty sweet synergy. Oatmeal and chocolate colide. Yum. Green Gecko's Revel Bars won Best Treat at 2011's Death By Chocolate. 2012's revel bars will have a new twist. Make sure to include Green Gecko on your list of stops for Death By Chocolate. 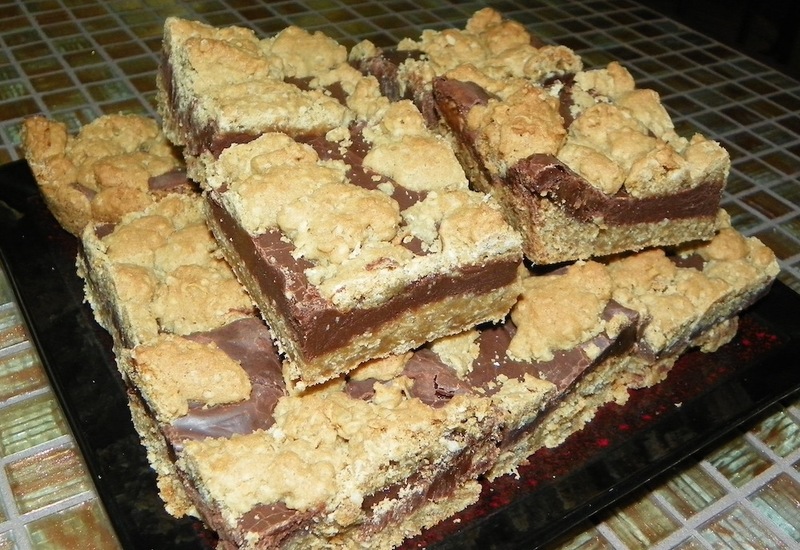 Green Gecko Revel bars feature an oatmeal crust with a rich fudge center. Spend your evening in downtown Appleton sampling scrumptious chocolate desserts whipped up by some of the best chefs in the area, right here on College Ave.
Vote for your favorite chocolate treat Feb. 14-19 and you could win a $25 Downtown Appleton Gift Certificate!